Lyme, NH appeals greatly to those who favor rural settings and thrive in the outdoors. Take a trip over to the Dartmouth Ski Way for some great winter fun. Just north of Hanover NH, the community is tight-knit and enjoys collaborating for town events which bring people together, both for celebration and civic responsibility. Lyme prides itself on the preservation of its history. The historical society is more of a community effort than simply one aspect of the town working to retain the authenticity of the town’s historical places. Derby Hill Farm in Lyme, NH is the type of property you dream about, but cannot find unless you are willing to spend years from start to finish building your own custom residence on a perfect parcel with exceptional design, quality and craftsmanship. Located on a rise high above the Connecticut river valley, 10 miles from Dartmouth College, this private and serene offering on 80 +/- acres, includes a Smith & Vasant designed 3-bedroom 4-bathroom residence, a 3-bedroom 3-bathroom guest house, and a classic pass through barn with finished second story, all sited around a gravel courtyard flanked by stone walls, granite steps and fieldstone walkways. The land is private and peaceful accessed by a single-lane gravel road maintained and plowed by the town. There are local mountain views to the east, seasonal views of Moose Mountain through the trees to the south, and longer-range views of Vermont to the west. Located only 15 minutes from downtown Hanover, NH, Derby Hill Farm is an exceptional must-see property. Say hello to YES! Additional 3 contiguous, buildable lots totaling about 69 acres (226 & 228 Orford Road and 15 Whipple Hill Road) have been added to 7 Tavern Lane. This incredible country estate now has over 78 acres with mountain views, beautiful vistas, waterfalls, and streams and 3800 feet of road frontage. Only 15 minutes from Dartmouth College. 10 minutes to Dartmouth Skiway and many major Vermont and New Hampshire ski areas are within an hour's drive. The custom built home, which sits on a very private hilltop, is complemented by a recently constructed barn/garage with a spacious studio on the second level. Studio has acoustics to suit sound recording. Quality craftsmanship throughout the house and barn: master woodcrafter Dana Robes built the kitchen cabinets and other elements throughout the house. Large spaces to entertain, chef's kitchen, guest rooms, screened porch, recreation room with bar, custom wine cellar! Lot number 58.1 (Town Map 407) has had $200K of site development, including a quality roadway to access a beautiful 2 acre clearing with views of Smarts Mountain, Moose Mountain, and Pinnacle Peak. The site is shovel ready for construction, and has had solar plans, soil tests, underground electricity installed, and architectural plans. The other two parcels have approved home sites and state driveway permits. See more at www.clovertopnewhampshire.com CLOVERTOP- One of the most elegant properties in the area, Clovertop is perched in an idyllic setting with 270 degree panoramic views. There are actually 3 different view corridors carefully sited from different areas of the house and grounds. The main view to the south over Post Pond is simply breathtaking. The house was constructed by a highly respected local luxury builder. The interiors are bright and spacious with large gathering areas for family and friends, and other more intimate spaces like the library and sunroom to enjoy the serenity. The current owners added a beautiful great room that is warmly lined with cherry built-ins. Above it is an exceptional, private master suite with cathedral ceilings, large master bath, cozy sitting area and generous walk-in closets. There are 4 bedrooms total in the house all en suite, including one on the ground floor. The landscaped gardens are lined with numerous well crafted stone walls. Clovertop abuts the Lyme Town Forest and there are trails on the property that connect to larger systems that allow you to go for miles. The wildlife is abundant. The house is two miles to the Post Pond recreation area with a pond, beach, tennis courts, playing fields and boat/canoe launch. Clovertop is in a prestigious area of Lyme, minutes from the village and a short distance to Hanover, NH, home of Dartmouth College. Overlooking the Connecticut River this historic 18th Century Lyme farm is beautifully sited above River Road on 90+ acres. Private and peaceful and unseen from the road, this serene property has a compound of large barns, including horse barn with four box stalls and dairy barn with milk house and milking parlor. Built in 1780 the spacious antique farmhouse is south facing and filled with light. It is surrounded by flower gardens and flowering bushes. It has a large open eat-in kitchen with fireplace, formal dining room, living room with fireplace, library/office, first floor bedroom with handicap accessible bath, first floor laundry room with pantry, front stairs and back stairs. Second floor master with en suite bath and fireplace, another bedroom with full bath, three more rooms and another full bath. Most rooms have built-ins and all have closets. 3rd floor attic is enclosed and has shelving for storage. Large attached screened porch overlooking the grounds and attached two car+ garage. Garage has mudroom with lift. Property adjoins a large network of riding and cross country ski trails on surrounding conservation land is in current use. Excellent Lyme schools and choice of high school. Close to Hanover, Dartmouth College, Dartmouth Hitchcock Medical Center, and the VA Medical center in White River Junction VT. Bring your horses and animals; bring your family and friends to this unique place in Lyme for classic country living! In the Upper Connecticut River Valley, and beyond, award-winning architect Don Metz has designed many significant homes. This is one of the most important of all. The very first home ever designed, and built, by Metz is available for the first time in over 40 years. Fresh out of Yale Architecture School, Metz got his hands dirty in both the design and construction of the home, and lived there for several years. Added onto later by the next owners, Metz also did the design for the additions and outdoor structures that are still in place. Constructed on 10 acres and bisected by Trout Brook, this Contemporary was sited to take advantage of a peaceful setting in the town of Lyme, NH. Trout Brook is a year-round brook with a dramatic waterfall, and the owners have thoughtfully constructed a bridge over the brook to take advantage of the proximity to the water. A "Tea House" sits on the other side of the bridge, an elegant and peaceful place to view the falls. The main house has 3 bedrooms and 3 and a half baths, with unique angles and lots of light-hallmarks of Metz's early work. The enclosed porch provides an opportunity to bridge the indoors and outdoors in all seasons. In addition, a guest house provides flexibility for large groups, or as a rental property to bring in additional income. This is truly a chance to put your stamp on a unique piece of local history and carry this important home forward for generations to come. Like living in a tree house! Tucked in the woods on 5+ south-facing acres, this contemporary saltbox is open, airy and bright with light from every one of its many windows and skylights. Enter the house into the impressive Mud Room with slate floor and cathedral ceiling; large enough for kids and dogs and room to store all your winter and hiking gear. Turn left into expansive Living/Dining Room where the Vermont Hearthstone stove adds warmth and ambiance. Large open Kitchen has hickory cabinets, an island you can sit up to, and flows into a glassed breakfast nook where you can see into woods and watch nature go by. Second floor has spacious Master Bedroom with en-suite Bath and two more bedrooms. Attic level has bright Studio with skylight and an unfinished room waiting for your inspiration. Turn right from Mudroom into attached separate entry Apartment for mother-in-law, office, or use it as Sellers do, for a home business. Mudroom opens out to a deep deck sheltered by stone walls and boulders (from blasting the generous basement) in front of the house. Seasonal views of Dartmouth Skiway, where resident school children ski for free. Many hiking and x-country ski trails crisscross the surrounding conserved area and pathway leads to pristine Pout Pond for boating and fishing and bird watching. Come and see this wonderful spot that has everything you want in a New England mountain home! Subject to Flint Hill Subdivision Declaration (No HOA fee.) Conservation Easement. If you want to live on a classic New England landscape, here it is! Mid-Century Cape on a beautiful stone lined country lane near the Connecticut River. 37+ acres of privacy with meadows, woodlands and views of Smarts Mountain. Potential pond site near the house. 3 Bedrooms, 3.5 Baths. Original Kitchen opens into a cozy Family Room with wood burning fireplace. Large Living Room/Dining Room also has a wood burning fireplace and has accommodated a baby grand piano at one end. Bedroom, Full Bath and Master with en-suite Bath on the first level. Upstairs level has Bedroom, Den/Office & Full Bath. Stairway to upstairs can be closed off and has a separate garage entrance for a mother-in-law apartment or very private guest quarters. South facing Sun Porch with slate floor. First floor Laundry. Mudroom. Full basement with built in shelves for storage & lots of space for your dream rooms. Workshop area in the large 2 car attached Garage. Generator. Quiet country roads and hiking trails. Minutes to Post Pond, Dartmouth Skiway, DHMC & Dartmouth College. 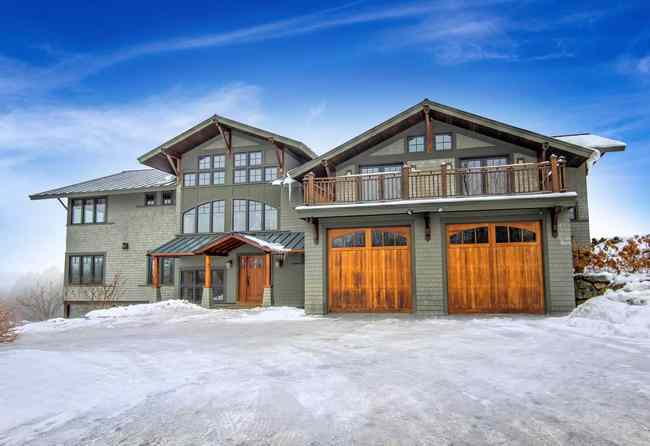 You can walk home from the Dartmouth Skiway to this surprisingly expansive home. Huge great room for playing and entertaining. Large kitchen with center island, formal dining room, office and mudroom. 4 bedrooms on the second floor, and a playspace besides. Master bedroom has ensuite bath. Close to the Appalachian Trail. 4 acres of land include blueberries, cherry and apple trees, vegetable and flower gardens. What a treat! Enjoy Village living in desirable Lyme Center. This unique and charming New Englander has been lovingly maintained throughout the years. A gracious home , featuring lovely wood floors, custom built-ins, fireplaced livingroom, an open country-style kitchen, and plenty of rooms for family, guests and entertaining. Add to this a 3 season sunroom, deck with a custom built bread oven and a recently constructed Sugar House! The setting is quintessential village with a private back yard that leads to a wonderful rambling brook! Located just one mile from the Dartmouth Skiway, the Appalachian Trail System and all kinds of outdoor recreation...and an easy commute to Dartmouth, DHMC, and amenities. LYME, NH Walk to the green or the elementary school from this in-town charmer that has privacy, views over neighboring fields, fenced-in yard, a front porch AND screened-in porch. This 4 BR and 3 Bath 1840 home has been modified and improved, with spray-foam insulation added to basement, recent appliances in kitchen, newer roof, newer energy star boiler, and newer oil tank. Two fireplaces provide charm and warmth along with a wood stove for efficient alternate heat source. Attached two car garage for all your gear, and a separate outbuilding with electricity and finished walls for work out room, storage, or crafts. Make an appointment to view this special property today! Heaven on earth! Majestically set 3 bedroom, 2 bath cape with local views, privacy and details that will knock your socks off! Set on a beautiful 7 acre parcel with mature plantings, flowering trees, rolling yard, and your own view of Holts. Inside has been tastefully renovated in a classic design - cozy kitchen with tons of unique storage, living room with woodstove, dining room opening out to brand new deck, two beautiful new bathrooms, master bedroom with a skylight view of the hills, basement with family room/third bedroom option and walk out workshop. Fenced in yard and great outbuilding are bonuses! A stone's throw from Goose Pond for all your summer recreation! Best of both worlds - Live in one and rent the others. Charming 1912 Lyme Creamery has capacious separate entry three room apartment with 2 baths on second floor and large main floor commercial space (has been an antique store and an online retail fullfillment center) with loft and loading dock and lots of office space. There's also a one car garage with storage rooms. Across the driveway is a three bedroom light-filled mid-centrury contemporary house with open plan kitchen/dining room and living room with cathedral ceilings and soaring chimney for cozy wood stove on first floor; family room, two bedrooms and 3/4 bath with laundry. Tucked in trees of of Rt.10 it is two minutes to The Lyme Common and three to Lyme elementary.